I like to chop everything before I begin. A handful of mushrooms, which ever you like and also dried ( if you use dried, remember to steep in warm water about 30 mins before using). 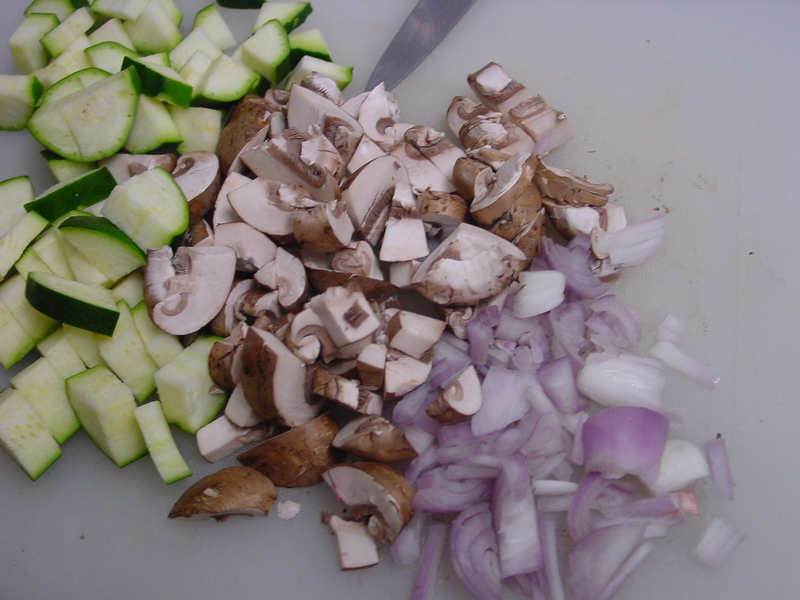 Chop all the veggies. Put the broth onto heat. Open wine. I used a chianti classico, but any red will do. 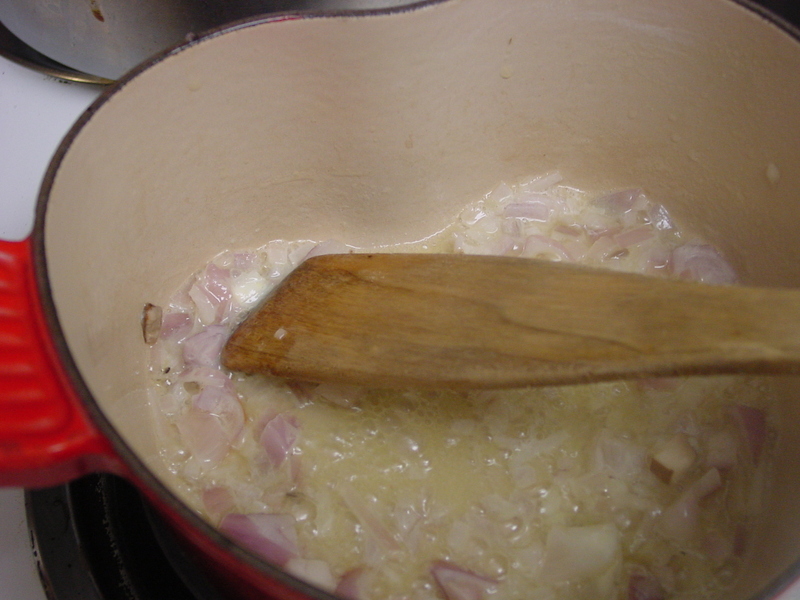 Place 2 tablespoons of butter to melt, add shallots and cook till translucent. Add cup of arborio rice. Coat rice with butter, stir constantly. Add wine when the arborio grains have one white speck in them and the rest looks clear. Continue to add liquid while stirring. Add the mushrooms and zuchinni half way through. Continue to cook until al dente and barely any broth left. Just as you feel it’s almost ready, it’s time to cook the scallops. In a pan melt 1tablespoon of butter, add scallops to hot pan. (1 tablespoon strong dijon mustard, 2 tablespoons red wine vinegar and 3 tablespoons extra virgin olive oil, salt and pepper). Add salt and pepper to taste.